Chemical weathering is the process of transforming a rock’s composition through chemical reactions. Unlike mechanical weathering, it either dissolves the minerals or converts them into other minerals. We see chemical weathering everywhere. For example, buildings, statues and monuments are subject to erosion through chemical weathering from reactions with rainwater. 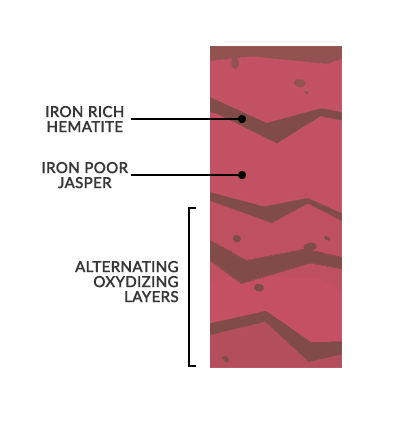 The 3 main processes of chemical weathering is dissolution, hydrolosis and oxydation. Water plays a key role in each of these chemical reactions. 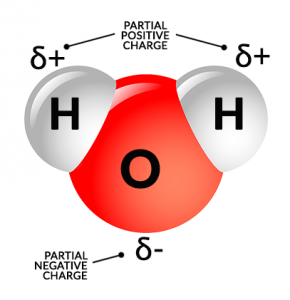 Carbon dioxide in the air can react with water to form carbonic acid. When it precipitates, this weak acid enters the cracks in rocks chemically reacting with it. Over time, this reaction causes rocks to dissolve because of the polarity of water. This means that one side of a water molecule is positive and the other side is negative. Water molecules can bind to either the negative or positive ions in the minerals. Over time, this reaction can pull the atoms apart. Overall, dissolution is the process of rocks dissolving when acidic waters react with minerals. Hydrolosis is the chemical transition of one mineral to another. Not only the chemical composition, but hydrolosis is responsible for altering the size and resistance to weathering. The process of hydrolosis is vitally important to feldspars. Clay began as feldspars and were dissolved through the reaction process of hydrolosis. This chemical breakdown of a compound is due to water and possibly other substances in the atmosphere. For example, atmospheric CO2 which is air pollution can contribute to the dissociation of water and release of H+. Occurs when free ions of oxygen join with iron (or magnesium) rich minerals to create new minerals like hematite and limonite. For example, when you leave your bike in the rain, it gets oxidized (or rusted). Free oxygen within rainwater combine with the iron to create new minerals. The red color from rust is because of the presence of iron. This is commonly found in banded iron formations over 3 billion years ago, when photosynthetic organisms were just emerging. When does chemical weathering occur? Moist regions experience more chemical weathering because water is the basis of hydrolosis, oxydation and dissolution. Both temperature and its rate of change are critical in weathering. For chemical reactions, they tend to occur more rapidly in higher temperatures and can dissolve rock at a faster rate. Finally, biology also plays an important role for chemical weathering. For example, the symbiotic relationship of lichen (which is just fungi and algae), releasing chemicals. Over time, this chemical reaction can crack and weather away at rocks.